Maui Jim, the makers of the world’s clearest non-glass sunglass lenses brings to the market this festive season, River Jetty, a line of sunglasses that sets the pace for the company’s next level of eyewear for athletic performance. River Jetty features strongly defined Grilamid brows and temples from which suspend rimless, lightweight, hybrid-injected polycarbonate lenses to create a pair of sunglasses that withstand rugged activities that demand unobstructed views. 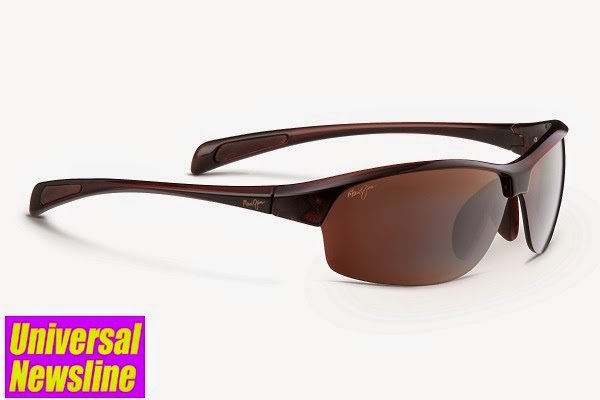 “With River Jetty range of sunglasses, Maui Jim adds a new element to its line of athletic eyewear. We’ve dialed up the aggressive styling, which in turn enhances the durability of these sunglasses. The rimless lenses offer wide, clear, distorted views. This is a line of glasses that is perfect for people who run, cycle, hike, climb, golf, play tennis or any other active sport,” said Mr. I Rahumathullah, Managing Director at Maui Jim India. River Jetty sunglasses offer lightweight coverage in a sporty, form-fitting that is highly durable and flexes with an athlete’s movements. The non-slip Rubberon temple inserts provide extra grip for a more secure feel, and adjustable nose pads prevent slippage during even the most intense activities. River Jetty is available in Gloss Black or Blue with Neutral Grey lenses for optimal protection during bright, sunny days; Rootbeer with HCL® Bronze lenses for variable light conditions; or Translucent Matte Grey with Maui HT™ lenses for times when other lenses would be too dark. The lenses feature Maui Jim’s patented PolarizedPlus2® lens technology crafted into a sleek, flexible frame that offer superior fit, durability and anti-slip features. Maui Jim has been voted favorite sunglasses company and best sunglasses by optical retailers and many of the top health, fitness and outdoor sports media around the world. All Maui Jim lenses usepatented PolarizedPlus2® lens technology that cuts 99.9 percent of glare and eliminates 100 percent of UVA and UVB rays while significantly boosting color, definition and depth perception. All Maui Jim sunglasses have been awarded the Seal of Recommendation from The Skin Cancer Foundation, recognition that the lenses provide safe and effective sun protection and are an important part of an effective defense program against skin cancers of the eye and eyelids. Priced at Rs. 8,500,River Jetty Sunglasses are available at all leading store in the city. River Jetty comes with an eye size of 63 mm, bridge size of 16 mm, temple length of 116 mm, and an 8-base curvature for full wrap coverage that fits snugly around small to mid-size faces. For more information, visit MauiJim.com or follow us on Facebook andTwitter at @OfficialMauiJim.